Like highland heroes loping towards Loch Ontario, masses of kilted runners lolloped down Guelph Line Road. Teary eyed with laughter, I watched as waves of warriors washed by my car. Big Celts, little Celts. granny Celts, bearded and ponytailed Celts. It was the Robbie Burns run, in honor of the national poet of Scotland- perhaps you remember his poem To a Mouse ~ “the best made schemes o’ mice and men gang aft agley” (go oft astray, in Engishspeak) and hundreds of runners braved the cold (good thing most kilts are made o’ wool!) on that blustery January day. 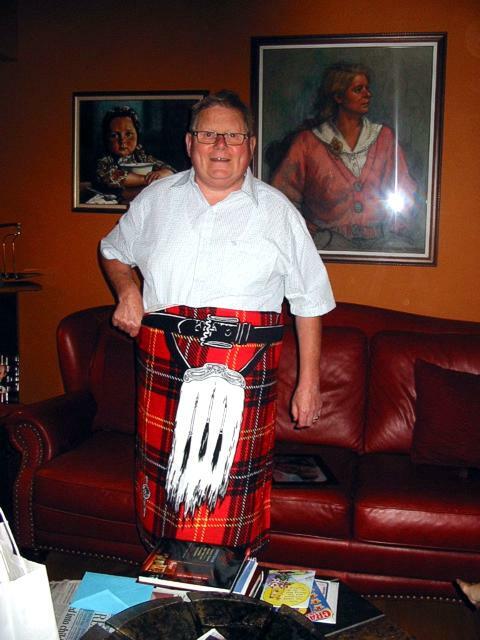 Actually, most of the kilts I saw were made of cotton – recently the instakilt has come into vogue. These handy dandy towels can transform anyone into a Celt – just wrap one around and voila! Insta-warrior! No really, they’re awesome – check out the website at www.instakilt.com. About a year ago, I met a bona-fide Celt. He’s grizzly and bewhiskered, a gentleman and a scholar. Crinkly eyes – gentle radiance that denotes much time spent with Jesus. He’s a warrior of another type. 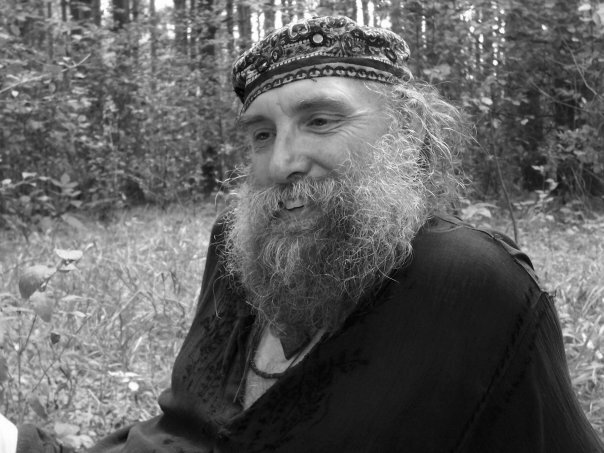 He’s got a super blog http://livingwaterfromanancientwell.blogspot.com that I highly recommend. 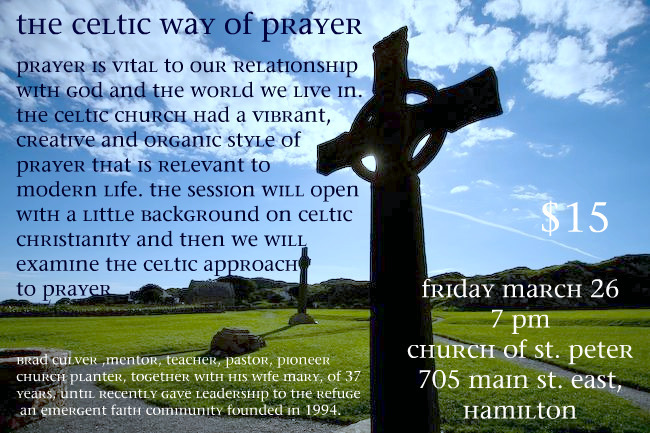 He’s made a life study of Celtic Christianity, prayer and community, so I couldn’t resist inviting him to come to Hamilton and do a workshop for us. Put it on your calendars and rsvp at jill@gohop.ca!